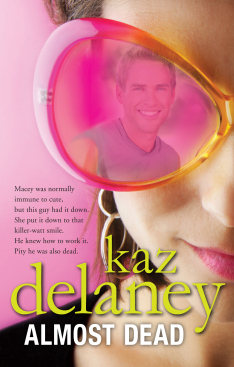 Synopsis: “Macey’s life has been turned upside down. Her mother has left, her father is absent and her two best friends (her brother Seth and his girlfriend Willow) are MIA. On top of that Macey is being visited by ghosts who need her help to ‘move on’. But as wild as all that sounds, it’s all under Macey’s control until a rakish, good-looking spirit called Nick turns up … in her bedroom!